Chapter 1: What is the evidence for mentorship? Chapter 2: What are the characteristics and behaviors of effective mentors and mentees? Chapter 3: How can you initiate mentorship? 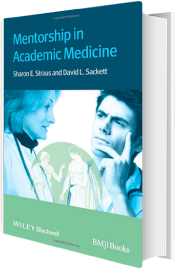 Chapter 5: How can you assess, diagnose, and treat mentorship that is in trouble? Chapter 6: How can you initiate and maintain a mentorship program? Chapter 7: How can you evaluate the impact of a mentorship program? Chapter 8: How can you scale up and sustain a mentorship program?